The first update to Microsoft's Windows Phone 8 OS hit the HTC Windows Phone 8X on Monday, and with it came some unexpected features. The Windows Phone 8 "Portico" update brought the OS from version 9905 to 10211 and landed on HTC's flagship Windows Phone 8 device over-the-air. In addition to the expected improvements to Wi-Fi functionality and fixes for a bug that caused the device to spontaneously reboot, Portico included at least three unexpected SMS features, according to Windows Phone Central. Those features make using text messages on the 8X all the easier. The Windows Phone 8 10211 Portico update added three SMS features to the HTC Windows Phone 8X that were reportedly not in the update's release notes. First, users can now save drafts of text messages that can be viewed and sent later. Windows Phone 8X users can also use a new "select all" option when deleting messages, making the process significantly faster than selecting each message one-by-one. Finally, a text-back option for rejecting calls has been added, allowing users to compose and select pre-determined responses or type in custom ones on the fly when rejecting a call. The Windows Phone 8 Portico update arrived first on the HTC 8X on Monday, but its exact release schedule is unclear. Will Portico arrive on other Windows Phone 8 devices? 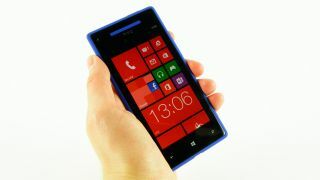 Will Windows Phone 8 handsets on all carriers receive the update? Are there any other undocumented functions or features that have yet to be discovered? "We're delivering several small improvements to Windows Phone 8 including performance enhancements," the spokesperson said. "We're working closely with hardware and carrier partners to get the update tested, approved and rolled out, and some customers are starting to receive it now. Microsoft isn't going into detail on the specific enhancements at this time."